Liverpool orchestrated a magnificent performance to rip apart Manchester City as they put four past the Citizens in front of a shocked crowd at the Etihad Stadium. Mangala's own goal opened the scoring just a few minutes in when he turned Firmino's cross into his own net, before Coutinho slotted it past Joe Hart for a second. 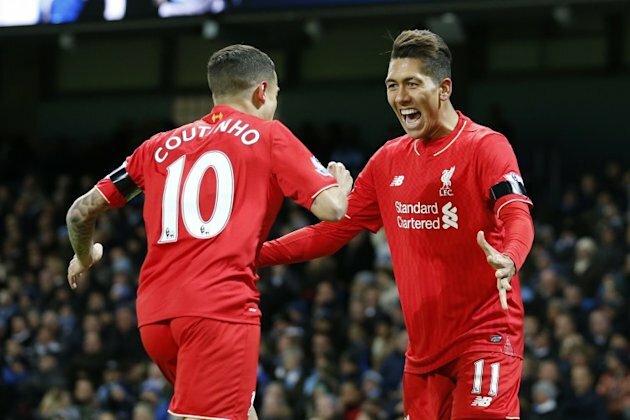 Roberto Firmino would then get his first Liverpool goal when a delightful move set him up for a simplistic tap-in. But there would be a lot to think about by half-time after Sergio Aguero scored a magnificent goal from long-range, curling low past Mignolet. That would be all to City's fight, with Skrtel's rocket from a corner kick finishing off a great day for Liverpool while misery was the prevalent emotion in Manchester. Liverpool smash Manchester City with a 4-1 win at the Etihad Stadium.